How could this happen to Toyota? How could a company with such a great reputation for quality have a quality problem leading to the recall of millions of cars? Now that the shock has worn off, we can have some perspective. Toyota has had a great run. Far longer than most companies before they hit a rough spot. But inevitably something will happen to, or at, any company. Every company eventually faces something that creates a disruption. What is striking in this case is that the problem goes right to the heart of what Toyota built their reputation on — quality. The question is really one of “when” not “if”. The disruption can come from any place — a scandal, a product defect, a shift in consumer’s preferences, a new technology, a natural disaster. How the company responds to a crisis is far more telling of character than the fact that it got into a crisis in the first place. This is the real moment of truth. Keep in mind that speed of response if a relative measure. If Toyota rushes too quickly and doesn’t get it right, that will cause collateral damage to their reputation. If they respond far too slowly, it will also create damage. Toyota is better served in the long run by discovering the full extent of problems — knowing that they are now under a microscope — and solve them in a timely way. Congressional investigations, leaked powerpoint reports…there are many things that will suddenly be given closer scrutiny. Rushing to a solution and declaring that all is well in this the best of all worlds…that’s just a gamble. Don’t forget that Ford and VW had so major recalls. And Audi faced their own sticking accelerator problem that was first reported on CBS’ 60 minutes during prime time. BusinessWeek keeps a tally on these things. Is Marketing being marginalized in B-school? The world has changed dramatically in the past 30 years. Consumers and customers have changed dramatically in the past 30 years. Media has changed dramatically in less than 10 years. The actual practice of marketing, by corporate marketers, is changing as people adapt to the new realities — some more successfully than others. But what hasn’t changed is the most popular theory of marketing — brand positioning — and the way that it is taught in B-School. Several professors, including Wharton’s Gerry Wind, have now said that the teaching and study of marketing is so narrow that it is in danger of being marginalized at business schools. The title of their article gives it all away: “Is Marketing Academia Losing It’s Way?” While they don’t single out brand positioning in particular, they make the very clear point that just at the time when new theories are marketing are most needed, they are least likely to be found in the great universities. There is an alarming and growing gap between the interests, standards, and priorities of academic mar- keters and the needs of marketing executives operat- ing in an ambiguous, uncertain, fast-changing, and complex marketspace. There are now several alternative theoretical models to replace the traditional brand positioning approach. Only one of them was developed by an academics. 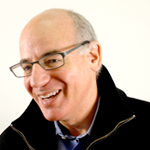 The four I am most familiar with — and which are true frameworks — are 1) Professor Doug Holt’s Iconic Branding; 2) Marc Gobe’s Emotional Branding; 3) Larry Light and Joan Kiddon’s Brand Journalism which they created for McDonald’s. The fourth is our own Narrative Branding approach. The article was published in The Journal of Marketing last summer. A copy of it is here. 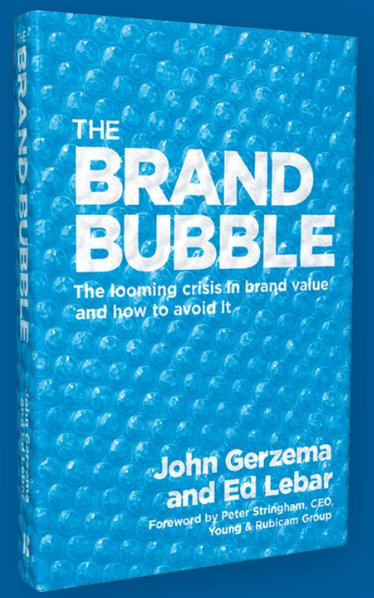 I’m delighted to say that Ed Lebar, co-author of The Brand Bubble, and CEO of BrandAsset Consulting, will be giving a talk at the New York American Marketing Association on March 24th! Ed will be presenting strategies for companies to win in times of economic turmoil based on new data from the Brand Asset Valuator. So block off that evening, from 6 to 8 pm! We are all grappling with a world where the rules have changed — the rules about when, where, and how people consume content and advertising messages, and how they discover, engage with, and either endorse or reject brands (and then amplify that decision to their peers). It’s changing the business models for companies, the skill sets needed for marketers, the roles for creating and distributing content for media companies, and the rules for how agencies think about creativity for brands. Didn’t they build their brand and business without any advertising? Actually Google has been advertising for years. Mostly online and in the trade press. And in sponsorships. More and more in consumer media, including TV, as they’ve pushed further into such as mobile phones. The Superbowl buy was really quite brilliant in many ways. First of all, it got people like me blogging about it, so it grabs far, far more attention than if they ran this on Chuck or The Daily Show. In that sense it will be like the Apple 1984 spot which people still talk about. With so many other advertisers opting out of the game this year (where was Pepsi? ), Google probably got a great price for the media. Well, relatively speaking since even a cheap Superbowl spot is a hell of a lot of media dollars. The ad itself shows that you don’t need to spend a kazillion dollars on production to create a tv spot. And the ad itself tells a story — no points of differentiation, no claims of superiority. I expect to see more of this from Google. And I expect that their CSR efforts will be elevated, too. It must be a shock for them to be under the scrutiny of EU regulators. They are now a grown up company. There’s been a complaint lately in my household. Facebook has gone ahead with yet another ‘improvement’. It is now “simplified” which seems to be an acknowledgement that the last “improvement” was not such a great improvement. At the same time, it is just as rigid and impossible to individualize as the previous versions. There is an interesting article about Facebook in the current issue of the NYRB. You can link to it here. The writer, Charles Johnson, discusses many aspects of Facebook and its success — including the elitist beginnings at Harvard that still give the site a certain cache. In Facebook he sees a company that can begin to take on Google in the online advertising world, assuming that the Facebook Connect feature is widely adopted. Facebook Connect, if it becomes widely used across the Internet, would enable Facebook to sell ads not just on its own pages but elsewhere as well. Google makes its largest profits through “search advertising,” where a query for “insurance” will result in ads for companies such as Geico or Allstate. But Google has never been as successful at “display advertising,” the name for the ads that show up beside everything online—from party photos to news stories—where it’s not clear what, if anything, users want to buy. Facebook, with much more precise information about its members, will likely be able to sell far more effective display advertising than Google. Whether members will be disturbed by this expansion of targeted ads—a person who lists her religion as “Jewish” may see Jewish-themed advertising not just in Commentary magazine but on every Web site she visits—and whether ever more targeted advertising will turn members off the site—does listing a love for the Marquis de Sade mean you want ads for leather?—remains to be seen. Is this the advertisers dream, the civil libertarian’s nightmare or both — or neither? The more fundamental question is what happens when the economics fail? Facebook is marginally profitable. Twitter is not profitable at all. 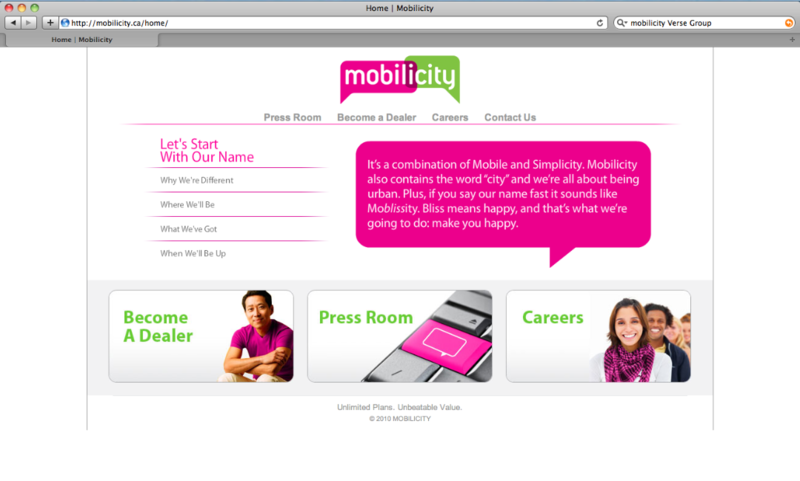 I am delighted to share that the new Mobilicity brand was introduced in Toronto yesterday.